Summer (and happiness) starts with a Starbucks Frappuccino, so get your favorite flavor at a Starbucks. Summer is the time to de-stress, have fun, and never let an opportunity (no matter how crazy) pass by. 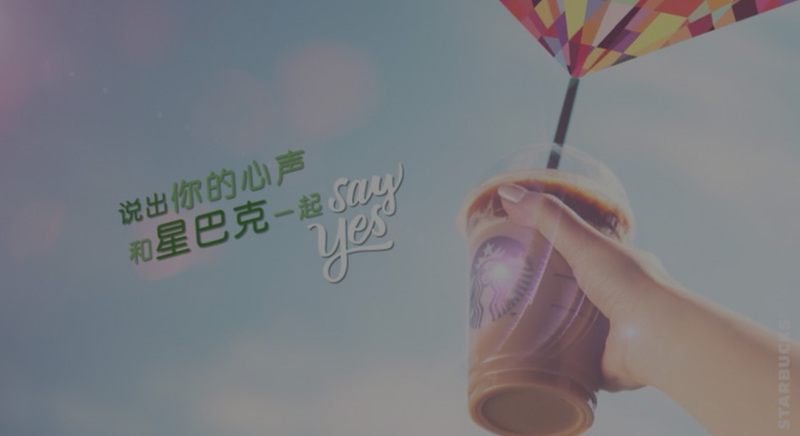 Frappuccino is celebrating summer and these mantras with their “Say Yes” campaign. 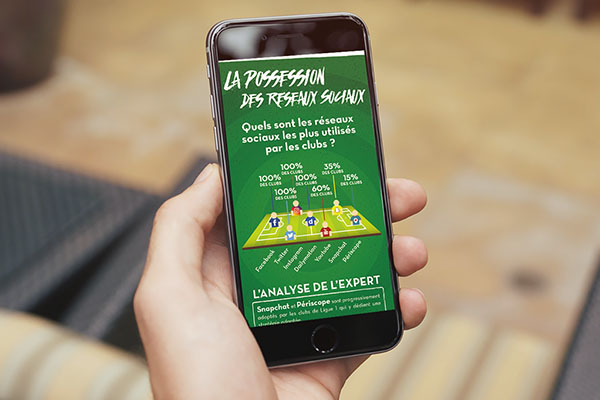 For this campaign, we had to drive awareness about the exisiting Frappucino and their new flavor. We created a brand video to launch the campaign and a social media platform so customer could discover the new flavor and vote for their favorite. 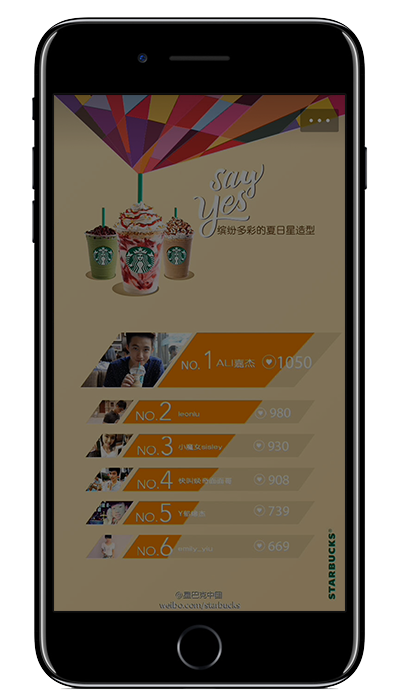 At the same time, we provided social media content for the official Weibo brand's account.